We are proud to announce that we have another pup. Fifteen-year-old RH58 arrived from Oahu on Sunday, July 12th. In the midst of stormy weather, on Monday morning, she was found concealed in naupaka bushes with a nice healthy pup–that has since been confirmed male. This is RH58’s ninth pup born on Kauai since 2006. 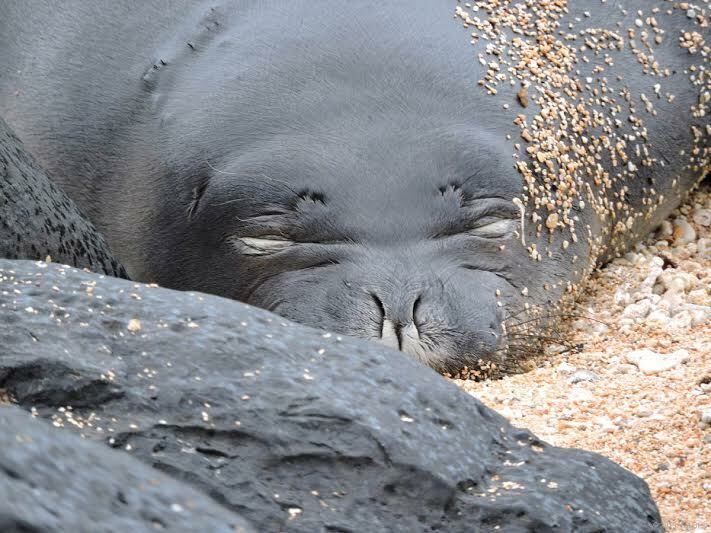 While she has spent her adult life foraging the waters around and hauling out on the beaches of Oahu, like many monk seals, RH58 returns to her own natal beach to birth, as well. 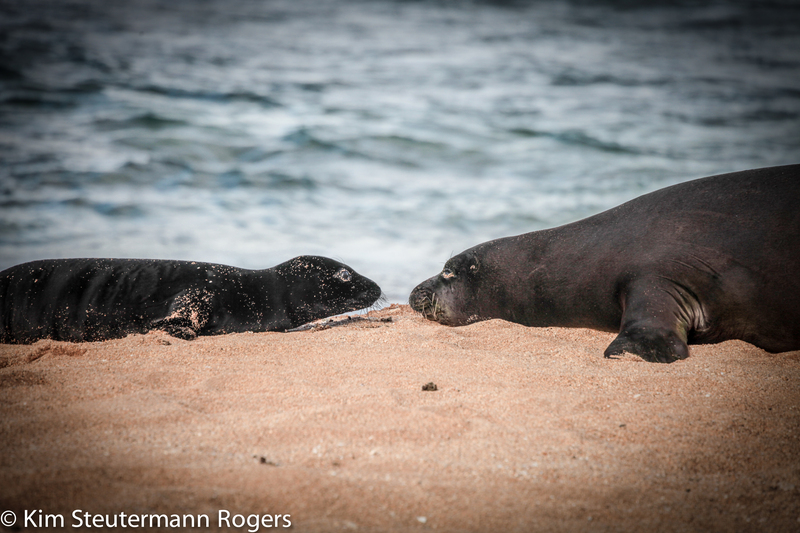 Our third pup born to RO28 has weaned, and his mother returned to Oahu a few days later, accompanied by an untagged male seal, Temp 319. This third weaned pup is tagged G28/G29 and goes by the ID name of RG28. When hauled out, he likes to hang out in rocks. These weaned pups seek rocks and objects to nestle against, possibly missing mom, and are vulnerable to people and loose dogs. They are very naive and curious, as all young are when they are learning about their environment and how to feed and socialize. Unfortunately their “cuteness” gets them in trouble when people approach them, try to pet or swim with them, and–most dangerous for taming a wild animal–try to feed them.